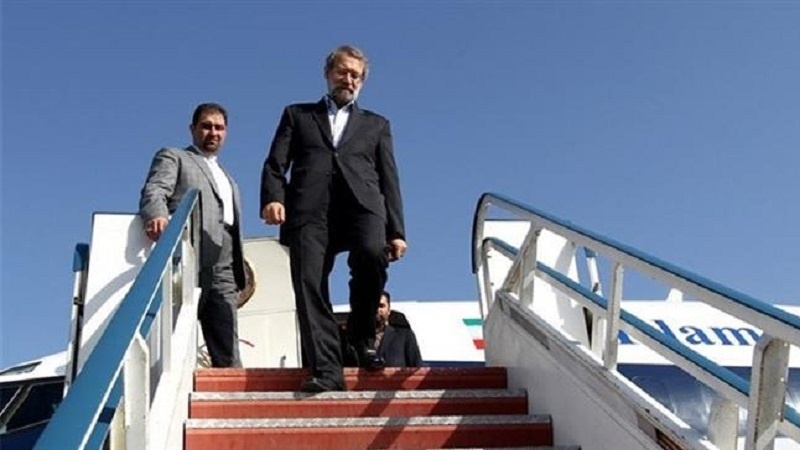 Iran’s Parliament (Majlis) Speaker Ali Larijani has arrived in Belarus on the last leg of a four-day tour that has already taken him to Russia. According to Press TV, Larijani arrived in Minsk on Friday heading a delegation that comprises several parliamentarians. He would meet the Belarusian top legislators and would also attend an inter-parliamentary meeting between the two countries later in the day. The Iranian delegation attended a meeting with senior Russian lawmakers in the southwestern Russian city of Volgograd on Thursday. “Iran and Russia have had a great share in fighting terrorism, and the terrorists are today drawing their last breaths in Syria,” Larijani said during the meeting. The US behavior toward Russia and Iran has witnessed some changes, he said, noting that Tehran and Moscow should to the same degree hold closer consultations with each other to better respond to Washington’s actions. He said relations between Iran and Russia were already expanding “dynamically,” adding that the volume of bilateral trade between the two countries had increased by 30 percent year-on-year. However, the top parliamentarian emphasized that Tehran and Moscow still needed to do more to boost their bonds. Iran’s top parliamentarian, meanwhile, said Iran and Russia needed to further expand their cooperation specifically in the area of railroad transportation. Before leaving Tehran, Larijani referred to Russia and Belarus as “friendly countries,” describing relations of both countries with Iran as close. Larijani is being accompanied by several parliamentarians during the tour.